Yggdrasil Gaming has released its newest slot game, Fruitoids, which as the name suggests is built on a fruity theme. However, while slots traditionally make use of fruit symbols, none are quite like the symbols in this game. 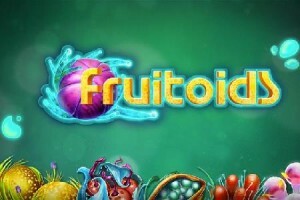 Yggdrasil Gaming has launched another new slot game, Fruitoids, which features some truly bizarre fruits. Fruitoids is a 5 reel, 25 payline slot and unsurprisingly the reels are filled with different types of ‘fruitoids’, or alien fruit. The most valuable fruitoid is the purple one which pays out 500 coins if five are landed across an active payline. There is also a group of 2 yellow-green spheres and some red berries wrapped in a blue peel. In total there are seven fruitoids on the reel which constitute all of the symbols in the game. Each time a winning combination is spun players are given a free re-spin. During the re-spin the winning combination is held in place and if more of the same symbol land on a payline then another re-spin is awarded. This will continue until no more matching symbols appear. If more than one of the columns is filled with the same symbol then players win a multiplier equal in value to the number of filled columns.